1. Beat the fresh curd nicely to a thick and smooth consistency. 2. Add the cumin powder, black salt, sugar, chilli powder. Mix them thoroughly. Add the mangoes. 3. Sprinkle some more chat masala and chilli powder and garnish with coriander or mint leaves and serve it. 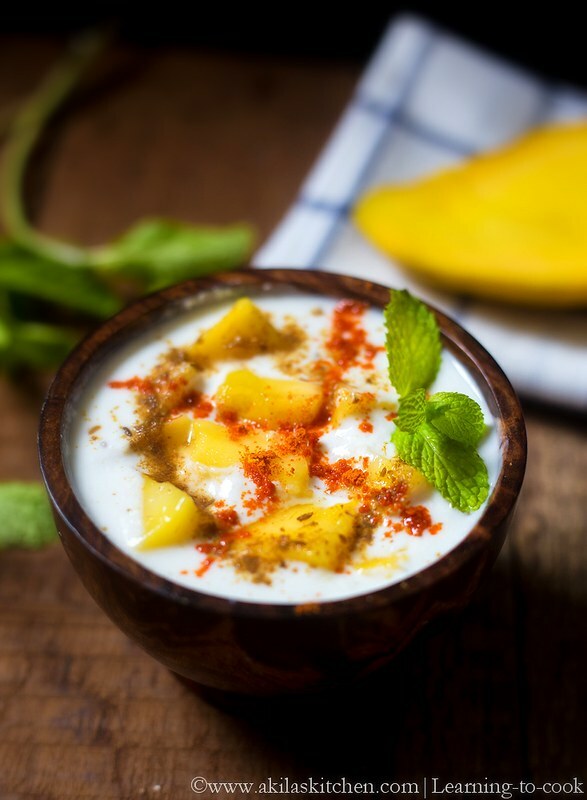 Yummy yummy Mango Raita is Ready to be served. 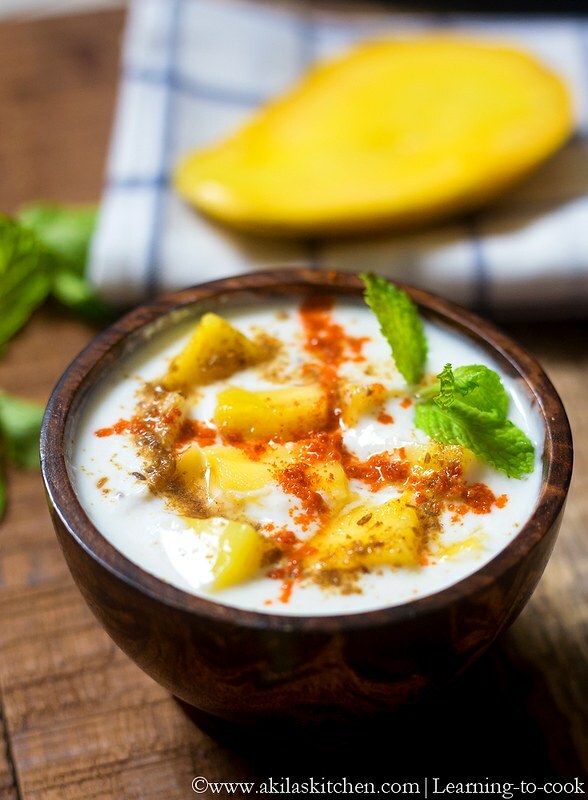 Mango Raita is a famous North Indian Raita Recipe which is prepared mostly during the summer season. Beat the fresh curd nicely to a thick and smooth consistency. Add the cumin powder, black salt, sugar, chilli powder. Mix them thoroughly. Add the mangoes. 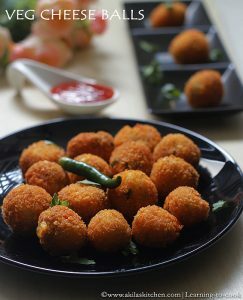 Sprinkle some more chat masala and chilli powder and garnish with coriander or mint leaves and serve it. 1. Adding sugar is optional. 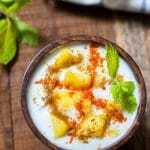 But it gives a unique taste to the raita. 2. Also I didn’t add the chilli powder in step 2 as I planned to give to my kids. So don’t get confused with the picture and the 2nd point. I added at the final stage. 3. Go for the ripe mangoes for the best taste. 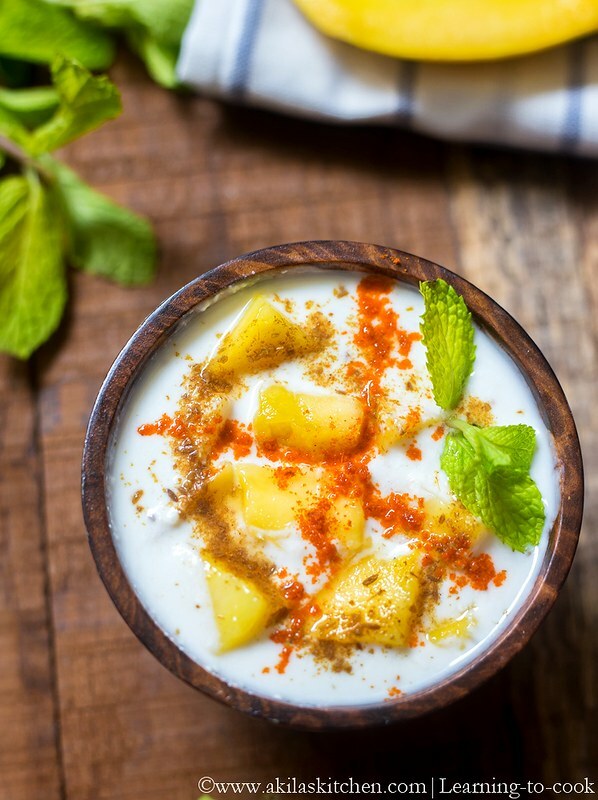 Goodness, this is a sensational tempting raita. Just that I am not sure if we have black salt over here.